Let’s just say it’s been one heck of a growing season here in Minnesota. Farmers and their fields have endured strong storms, heavy rain and frequent drowned outs. It’s definitely been a challenge. 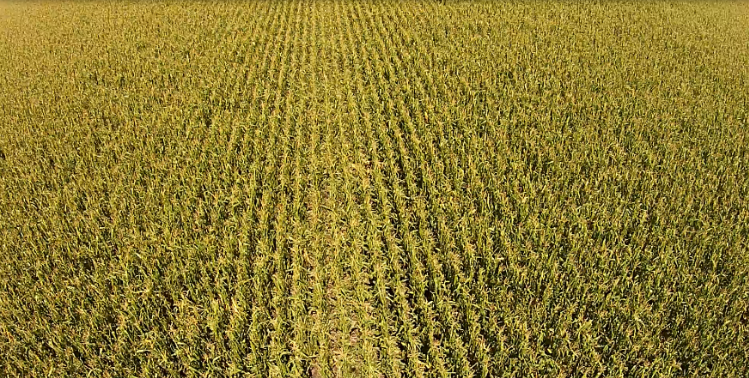 We’ve been keeping an eye on Agventure Customer’s fields using our drone. This give us a birds-eye view of the condition of the entire field, not just the end rows. This picture was taken from our drone of a local corn field that received some damage after a storm earlier this summer. We understand the importance of crop insurance…and the 2017 growing season will be no different. We know that farmers don’t normally start thinking about crop insurance this time of year. But we want to “plant the seed” and give you a bit of info to consider. Understand the role of crop insurance and how it should tie into your marketing strategy. Pick a policy based on what is best for your operation, not simply based on the cheapest cost. As the growing season comes to an end, we wish you all a profitable and safe harvest season. From planting and crop insurance, to growing and harvest…we are always here to help. Please give our team a call if you need more information 320-523-2252.